The ultimate and best way to ensure success… is to become a TW3 Member and gain access to ALL of the marketing platforms, funnels, tools, resources, discounts, training, etc. to help you generate your own leads on demand with an additional side opportunity to earn $450-$1500 per sale reselling the system! However, some people may not be ready for the full machine powerhouse yet, so perhaps you want to generate your own leads on your own, and piece together your own funnels and platforms. So the first thing you need will be a custom online sales funnel for your product/offer/service that will produce leads for you by qualifying, informing, and spiting out solid leads through it. This is the place where you will send your marketing ads to. Step 1: Click Here to Obtain an Excellent Online Sales Funnel! Next, at a minimum, AFTER you have a working funnel in place, you will need to utilize a proven marketing method/tool to begin reaching out and attracting potential prospects to your funnel! 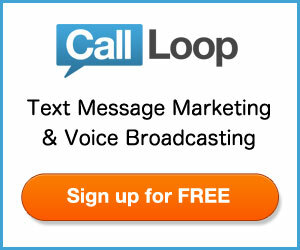 These days, 2 of the most effective methods are “voicemail broadcasts” and “text messaging broadcasts”. Step 3: Click Here to Obtain a Mobile Number List! Final Note: There are other effective marketing methods you can use in addition to these, such as Facebook Ads, Video Marketing, CraigsList Ads, Blogging, Referral Marketing Partners, Podcasting, Affiliates, Direct Mail, and more. The platform with TW3 includes these types of things already with specific training for each. But if you want to try to generate leads on your own, the 3 steps above will get you started in the right direction.